To Schedule Your Wisdom Tooth Removal Consultation, Call Us at Johnson City Office Phone Number 423-283-4555 or use our Appointment Request Form. 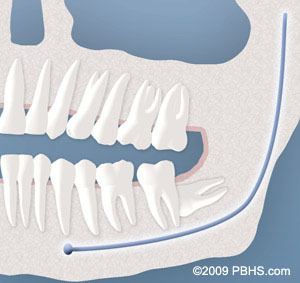 Complete Bony Impaction: There is NO space for the tooth to erupt. It remains embedded in the jaw bone and even if partially visible requires complex surgical techniques for removal.The impacted wisdom tooth may also be in an unusual position and difficult to remove. 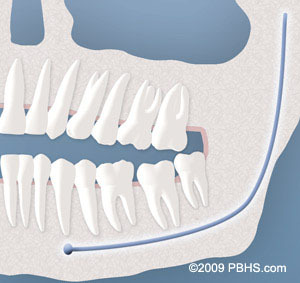 This situation can also arise when the shape or size of the jaw bone and other facial structures make removal of this tooth significantly more complex. no rating out of 5 stars based on 109 Wisdom Teeth reviews. Even though I hated having my wisdom teeth removed the staff and surgeon made me feel so much more comfortable about the procedure and I knew that I was going to be taken care of with the upmost quality. This place is absolutely great and I am so glad that I made the decision to come here for my procedure!!! They are very professional. I love how much they care about their patients. The staff and Dr.Witkowski are great. Had a good experience with my procedure and they all made me feel comfortable and at ease. Thank you guys very much, you rock at what you do! The whole staff made me feel comfortable and not anxious at all. Very friendly and fun. Everyone was super nice and made me feel confident and at ease with my procedure. I appreciated the fact that Penny took time out of her day to answer questions that I had about my surgery days after it was completed, this helped ease my anxiety. Dr. Was awesome and loved his personality! I would definitely come back! Everyone here was very friendly and helpful , they made everything very clear so I knew exactly what was going to take place before and after.